Welcome back to my month of beauty! I hope that you've enjoyed the previous posts where I talked about the Tartelette Toasted Palette and the Urban Decay Naked Heat Palette! 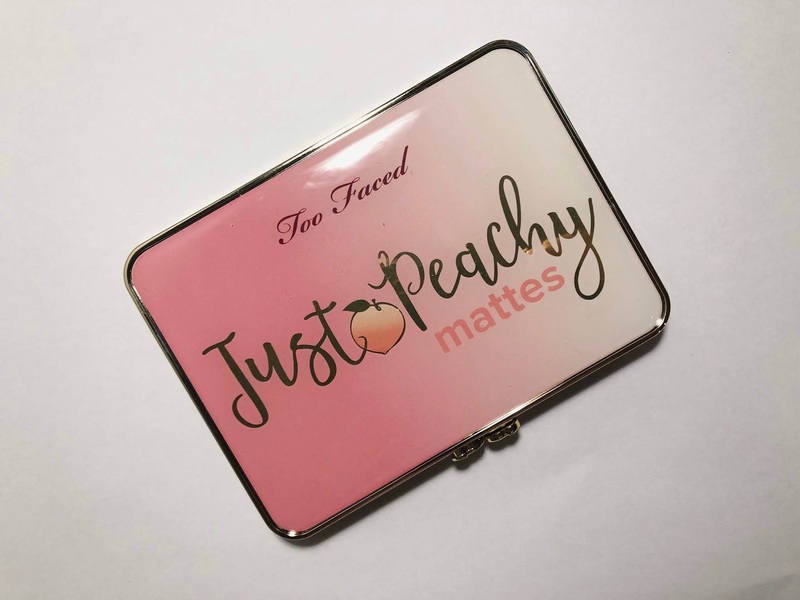 Today I've decided to dive into the sea of peaches and pinks and introduce the Too Faced JUST PEACHY MATTES palette! According to Too Faced's website, it is a velvet matte eyeshadow palette infused with peach and sweet fig milk. The palette currently goes for £33.00 and previously this collection was only available on the Too Faced website which you will have to pay shipping and taxes BUT God is real and they are now available in Debenhams! I don't think you have an idea of how long I've waited to get my hands on this palette but the whole shipping and tax cost (which was almost 3/4 the price of the palette) stopped me! But the other day Too Faced had an offer of free shipping plus 25% off so I got this palette for £31 which was a pretty sweet. But it took slightly more than a week to reach me but I guess better that than never right? The packaging of this palette feels so lux just because of the weight and the gold trims and finishing which is gorgeous! The weight is pretty good and I love the peachy colour and the simple cover design so you know. This is BEAUTIFUL. I was so happy when I opened this because the colours look so pretty! It has such a light and dainty range which I am living for, for this spring! Although this is a matte palette, there is ONE shimmer shade which is the peach sangria and I am not complaining about it. I love how the colours are so different yet each of them compliments each other really well. I've used this palette less than a handful of times and I have to say, the pinks really come off better than I thought, although they are lighter than what the pan looks like, they still resemble it. And yes, you'll probably need to go back once or twice more to get the exact colour on the palette but it's worth it! Plus I think it's pretty good for when you want to use the pinks for your crease instead of the main colours and the light wash of it can help your other colours blend well so it's honestly a give and take on how you'd like to use the colours in your routine! As you can tell, the colours are definitely not loud or bold in anyway. They are perfect for those who want to branch out from neutral shades and have that subtle pop of colour on your lids! Not to mention, this palette smells amazing. If you're a fan of fruity smells, you're going to love this one! But if you're not a big fan of scented products, don't worry, this doesn't hit you like a train. Think of it as more of a light breeze in a summer day kind of smell, the kind where if your neighbor is baking and the smell just sneaks into your house sort-a? I feel that the darker colours are great for when you want to line your eyes or even fill your brows in so this could be one of those palettes where it can serve the purpose of eyeshadow, brows and eyeliner so it's a pretty nice one! 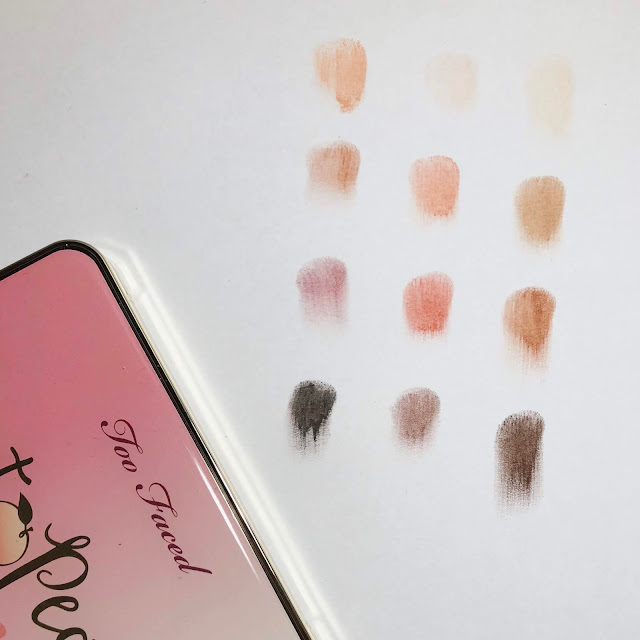 Comparing this palette to the sweet peach palette, I would pick this just because there is a wider range of pinks whereas the sweet peach palette boasts more of a neutral palette. 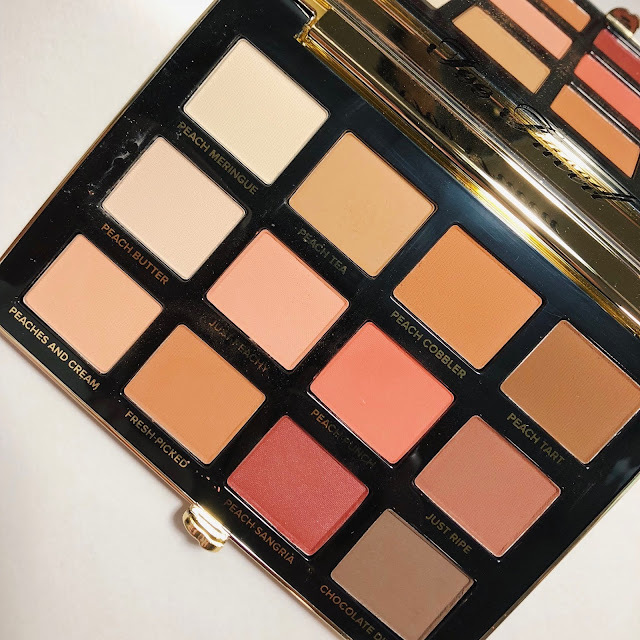 It is alright but there are so many neutral palettes out there and if you're not a make up collector, you might just want a range of different colours, this might be a better pick! But then again, remember this palette only has one shimmer shade which may not be for everyone! Have you got your hands on any Too Faced products? Which of them do you like the best and which smells have you going ga-ga?